Tomorrow is St. Patrick’s day so I wanted to make a nice paleo St. Patrick’s day meal for myself…a day early. I was looking into what exactly corned beef is, and it has nothing to do with corn. It is just brined beef brisket, so it is almost paleo from the start. Adding salt to your food is considered non-paleo, but most of us add a bit to some meals just for the sake of adding a bit of flavor. The amount of salt in a brined corned beef brisket is a little high though, so you’ll want to rinse, soak, rinse, soak, rinse and soak the corned beef to pull the salt out of it. Start by rinsing the corned beef with warm water. Then you’ll want to let the brisket sit in a large pot, fully submerged in warm water for about an hour and half with the heat on as low as possible. Pour out the water and rinse the brisket every half hour. 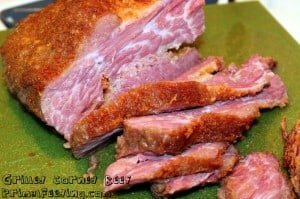 I’m preparing my corned beef with a dry rub, so when you pull the brisket out for the last time, pat it dry with a paper towel. 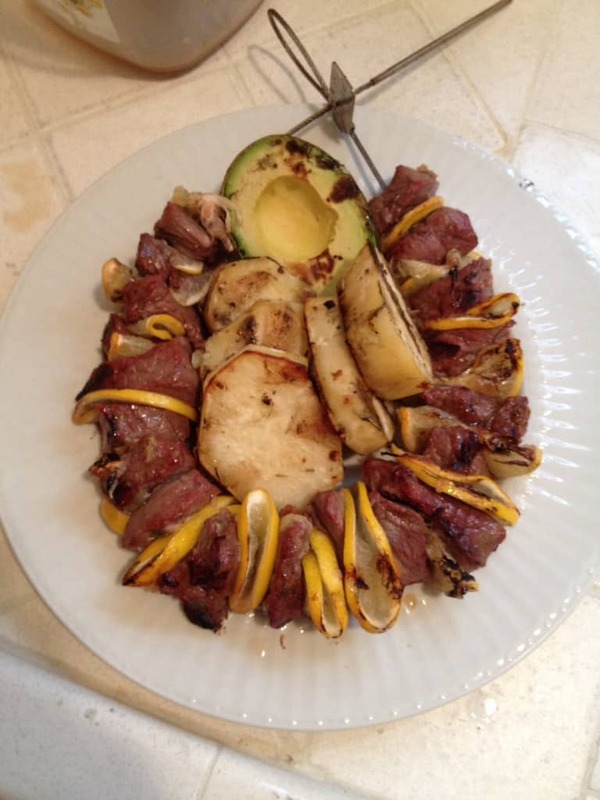 The rub I used is in the recipe box below, but you can use any of your favorite dry rubs that you like on most beefs. You’ll want to cook this on a very low heat for a while since the corned beef brisket is a tough meat. I tried to get my grill at about 225-250 degrees, cooking the brisket on indirect heat, with the fatty side up. Cooking time should be about 2 hours, and the final 45 minutes you should have the corned beef wrapped in foil to keep it juicy. It will be done when the inside temperature hits at least 160 degrees. I made a nice side of grilled cabbage slices with this. 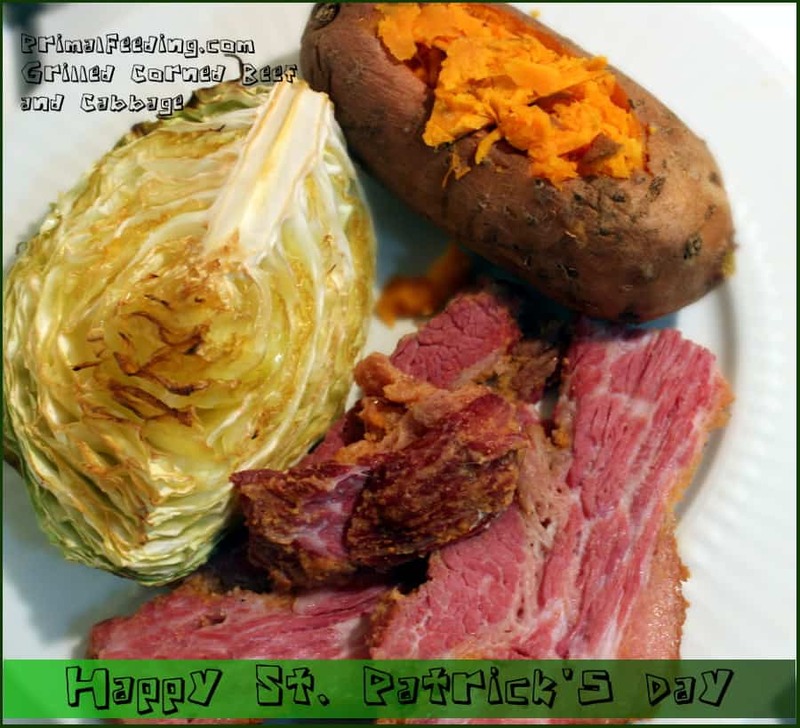 A more tasty alternative to boiling corned beef brisket on St. Paddy's day is to cook it on the grill. Combine all of the spices. Rub generously on all sides of the corned beef brisket.